Standards CSA Z259.14 Type A and B, ASTM F887-11, Capital Safety Gen. Mfg. Req. 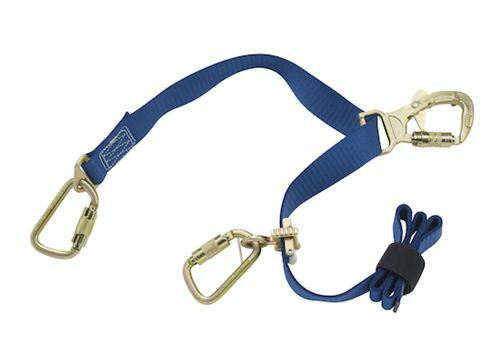 SecuraSpan™ I-Beam Horizontal Lifeline System ExoFit NEX Global Wind Energy Construction Harness Concrete D-ring Anchor with Bolt Extended Length Twin-Leg Quick Connect Self Retracting Lifeline with Aluminum Rebar Hooks - Web - 9 ft.